Is JPMorgan Chase Warren Buffett's new favorite bank? Does Warren Buffett have a new favorite bank? 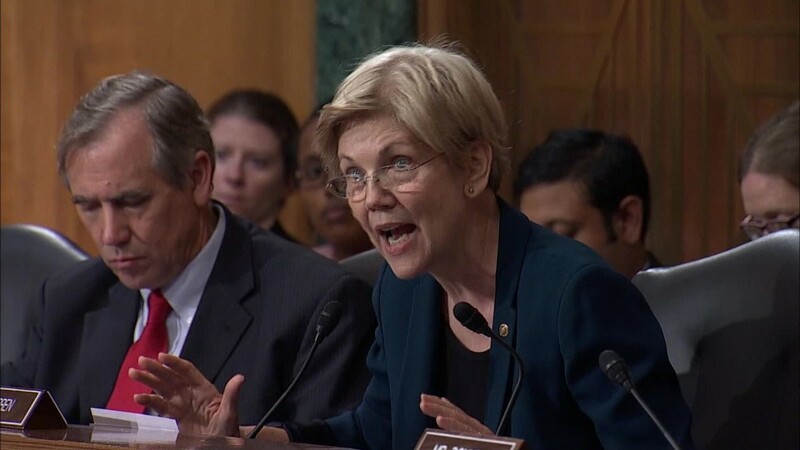 Warren Buffett has remained mostly silent about the Wells Fargo fake account scandal, even after Senator Elizabeth Warren urged Wells Fargo CEO John Stumpf to quit during a contentious Senate hearing on Tuesday. Buffett told the Fox Business Network late Tuesday that he was going to wait until November to talk about Wells Fargo, the presidential election and other topics. But as the Wells Fargo (WFC) drama continues, is Buffett now warming to one of Wells Fargo's top rivals? On Tuesday morning, just as Stumpf was getting prepared to be grilled by Warren and her Senate Banking Committee colleagues, JPMorgan Chase (JPM) announced that one of Buffett's top investing generals, Todd Combs, was joining its board. Berkshire Hathaway (BRKB) does not own a stake in JPMorgan Chase. But Buffett has often lavished praise on its CEO Jamie Dimon. In 2013, he even compared Dimon to Babe Ruth on CNBC after JPMorgan Chase was hit with a fine tied to the London Whale trading debacle. Buffett and Dimon were also among a group of high-profile CEOs to sign a letter earlier this year that called for more commonsense corporate governance practices. Dimon praised Combs in a press release Tuesday, saying that he "is an extraordinary leader, investor and thinker, with a deep understanding of finance and business" and that the bank will "benefit from his wisdom and judgment." So is this a sign that Berkshire may be preparing to invest in JPMorgan Chase? And maybe cut back on Wells Fargo? That's unclear. Related: Time to dump Wells Fargo and other bank stocks? Wells Fargo is still one of Buffett's favorite stocks. Berkshire Hathaway owns nearly 480 million shares of the bank. And Buffett personally holds a little more than 2 million shares as well. Buffett is an unabashed fan of the financial sector. In addition to Wells Fargo, Berkshire also has stakes in American Express (AXP), U.S. Bancorp (USB), Goldman Sachs (GS), Visa (V), Bank of New York Mellon (BK), M&T Bank (MTB) and MasterCard (MA). Berkshire also holds $5 billion worth of warrants in Bank of America (BAC). If Berkshire exercises them, it would immediately become one of BofA's top shareholders as well. Buffett has continued to hold big stakes in the financial sector even though it has been rocked by scandals over the past few years -- and hurt by the preponderance of low (and in some cases, negative) interest rates around the globe. But the problems plaguing Wells Fargo don't appear to be going away anytime soon. And they are arguably worse than the more opaque financial chicanery of the past few years. This really hits consumers more directly in a way that's easy to understand. So there are growing calls for Buffett to say more now instead of waiting until after Election Day. "Lose money for my firm and I will be understanding; lose a shred of reputation for the firm, and I will be ruthless," Buffett said. Along those lines, Charlie Gasparino of the Fox Business Network tweeted late Tuesday that Buffett is about "to come down hard" on Stumpf following his Senate appearance. Berkshire Hathaway was not immediately available for comment about Gasparino's claims. And Buffett's assistant has yet to respond to numerous requests from CNNMoney since Friday about the Wells Fargo scandal. It's possible that Buffett may feel that the pressure on Wells Fargo will soon fade. A new big story will pop up and investors will move on. And the addition of Combs to JPMorgan Chase's board may not signal that Berkshire will soon invest in it. After all, Buffett is pals with Bill Gates. The two do a lot of charitable work together. But Berkshire Hathaway has no investment in Microsoft (MSFT) -- even though it does have stakes in IBM (IBM) and Apple (AAPL). But regardless of whether or not Berkshire and Buffett are warming up to an investment in JPMorgan Chase, Buffett and Combs may want to have a word with Dimon. That's because shares of Wells Fargo fell about 2% Wednesday morning after it was downgraded ... by JPMorgan Chase.